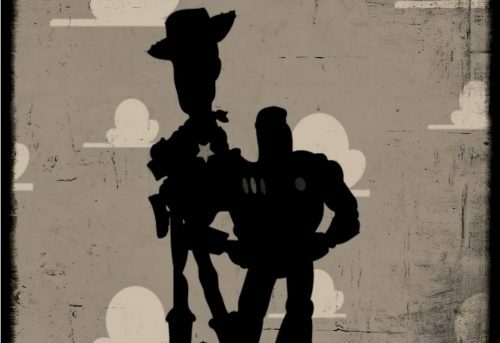 In the Disney/Pixar movie Toy Story, Woody the Cowboy and Buzz Lightyear the Space Ranger are rivals. Woody constantly attacks Buzz’s self-worth by suggesting the space ranger is delusional in his self-proclaimed abilities. Woody finally succeeds, and Buzz becomes depressed and on the verge of an identity crisis. Just then, Buzz discovers the letters "A-N-D-Y" imprinted on the sole of his right foot. He suddenly realizes he belongs to the boy Andy. Buzz grows in confidence and self-worth. Regardless of age or position in society, no one is spared from the agonizing search for identity. Social media is flooded with the relentless sharing and postings of many who struggle with an identity crisis. But the Bible declares that those who have repented of their sins and believe in Jesus Christ have found their supreme identity. Our identity is no longer defined by occupation, address, education or experiences. Like Buzz Lightyear, our identity is found in God's declaration, "You are my child." The name of our God is imprinted in our soul – like how "A-N-D-Y" is imprinted on Buzz Lightyear’s sole. We belong to God and beautifully, God belongs to us. A distinct mark of a child of God is growth in godliness. A growing child of God will be led by the Spirit to kill sin in his life. Rom. 8:13,14 says “For as many as are led by the Spirit of God, they are the sons of God." So the life of God's child is characterized by decreasing sin and increasing Christ-likeness. This does not mean that a Christian’s spiritual progress is linear – there will be ups and downs and the gradient may change. But the overall trend of a believer’s life will be less and less of self and more and more like Jesus Christ. A father and son share many commonalities in their mannerisms and walk. So if you are truly a child of God, your walk will be like that of your Father.